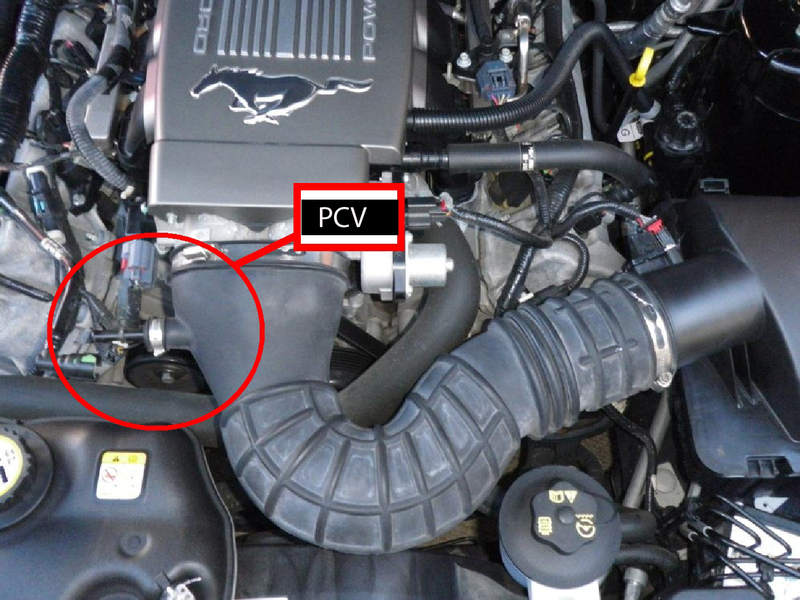 Does the 2005 GT 4.6L have a PCV valve? If so where is it and where can I buy one? Thanks, Ill take a look. Having a hard time finding info on this. Yeah, it's on the passenger side where the valve cover vent tube joins the intake pipe. Last edited by Dino Dino Bambino; 10-23-2018 at 01:07 AM. PCV mesh screen + gas + match = new PCV mesh screen? PCV hole is smaller than grommet and pcv screen? ?